Our guesthouse has been established for more than 30 years. 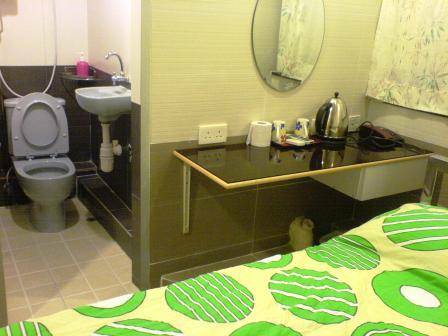 We provide 32 rooms of different type at different rate, all in one floor. 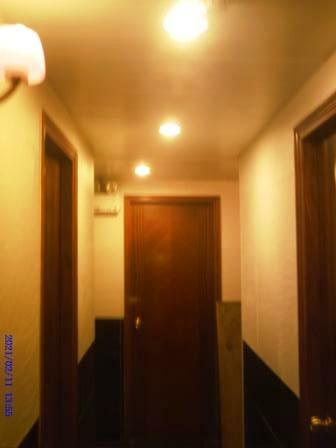 All rooms are equipped with A/C, cable TV, telephone, private bathroom and free wired internet access. Free wifi is provided in Lobby. 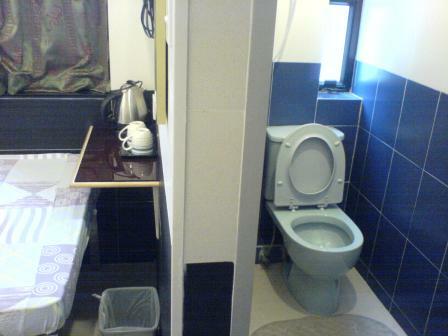 All rooms are equipped with A/C, cable TV, telphone, private bathroom and free internet access. 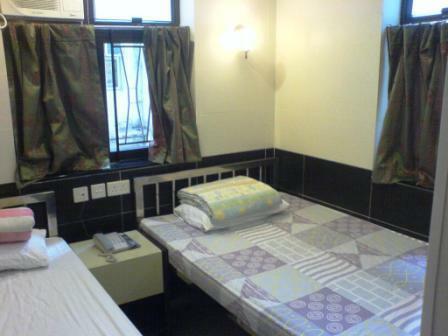 Our Twin Beds room could accomodate 3 persons without extra charge. Our guesthouse is equipped with 24 hour video surveillance system. Our guesthouse could be accessed by 2 lifts and all rooms are in one floor. Locate at the center of city. Just 5 min walk to Mass Transit Railway and rail to China. Very convenient for shopping and sight seeing. Office for acquiring China & other Asia countries Visa is nearby our hostel. Any advance cancellation or changes must be made through the official website " 48 hours" prior to your arrival time. That is hours before the check-in time of 12noon on the date of arrival. Otherwise the changes may not be available and one night room rent will be charged for failing to follow the above rules. 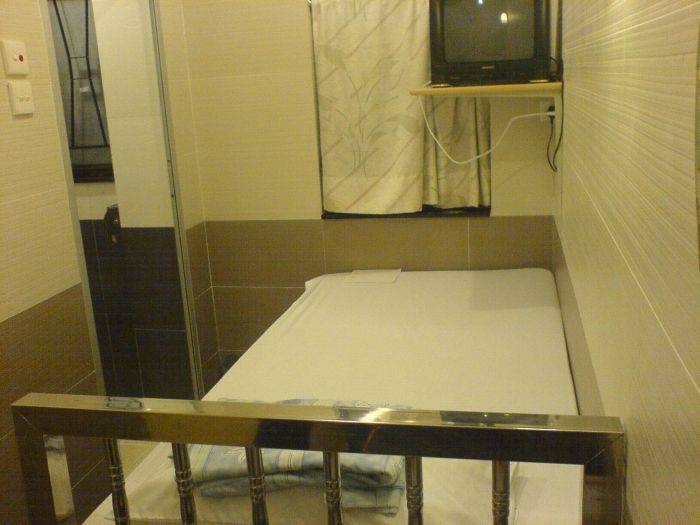 There are more than 200 guest houses in Chungking Mansions, but less than half of them are licensed. Apple Hostel is licensed which is listed in the HK Government web site. There have been reports from our guests that there are people who have no relation to our guesthouse touted our guests from the bus stations or the shopping mall of the building. Here we would like to clarify that we do not pick up guests from anywhere. When there is a stranger claiming he is from our guesthouse, even holding our name cards, please do not follow them or show your booking letter. Chungking Mansion sits directly opposite the MTR's(subway) Tsim Sha Tsui station Exit C1, and 2 min walk from the bus stop of Air Bus A21/N21. Please get off at the Kowloon Station and change to the free airport shuttle bus K3. Service from 06:30 to 24:00, leaves approximately every 15 mins with a travelling time of 45 minutes. (N21 Airport Shuttle for LATE NIGHT ARRIVALS: service from 00:20 to 05:00). Get off at last stop ( Hung Hom) - transit to West Rail Line - get off next stop (East Tsimshatsui) - Exit K.